A selection of wall mountable temperature measurement systems for environmental monitoring. They will accurately measure the air temperature and are often used for room climate monitoring. Resistance thermometer models can be used as 2, 3 or 4-wire PT100s and thermocouple models are Type K or Type T, simplex or duplex. 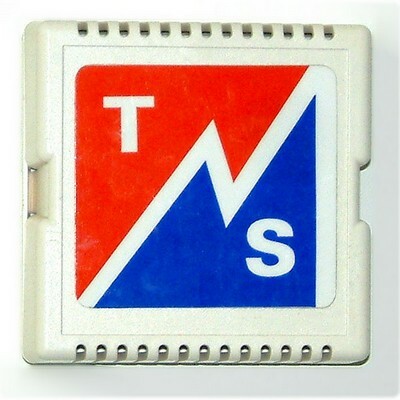 They are housed in a flame retardant white plastic case, size: Base: 84mm x 84mm, Height: 36mm. On the board inside the case are screw terminals, for easy wiring. The case has a choice of knock-outs on the back for the cable entry. We can also supply reels of thermocouple and RTD cable for connecting these sensors, please contact us for more details.